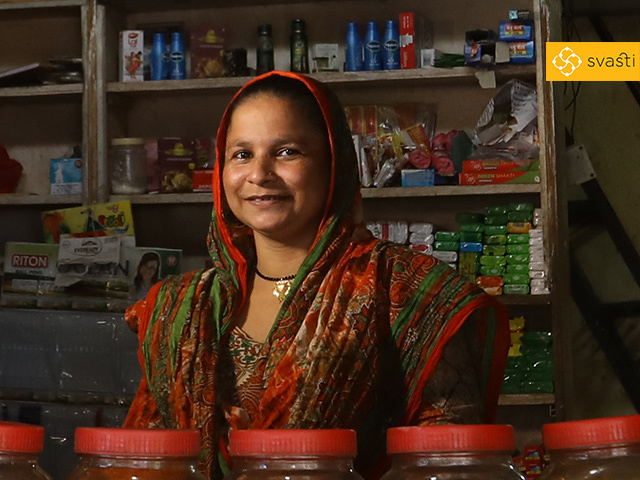 we make in our business"
Maherunnisa Abdul Kadar Shaikh lives with her husband Abdul and their two children. 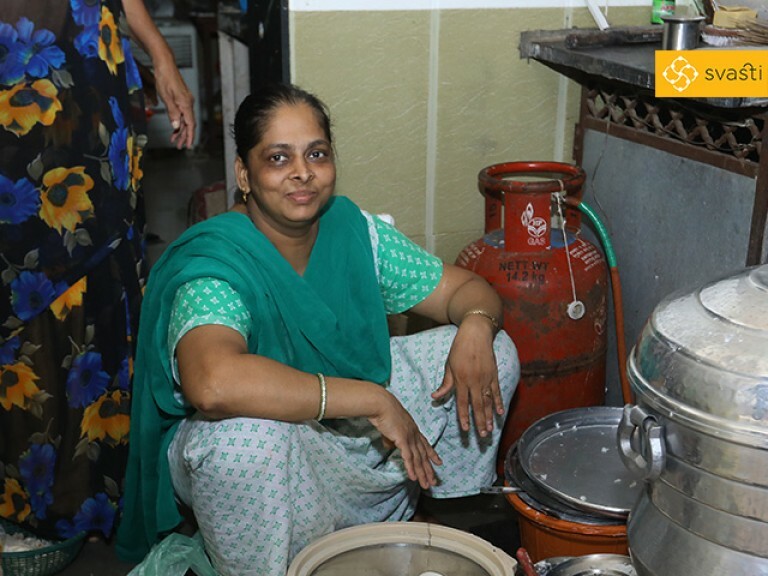 They live in a small house in the Chembur area of Mumbai. 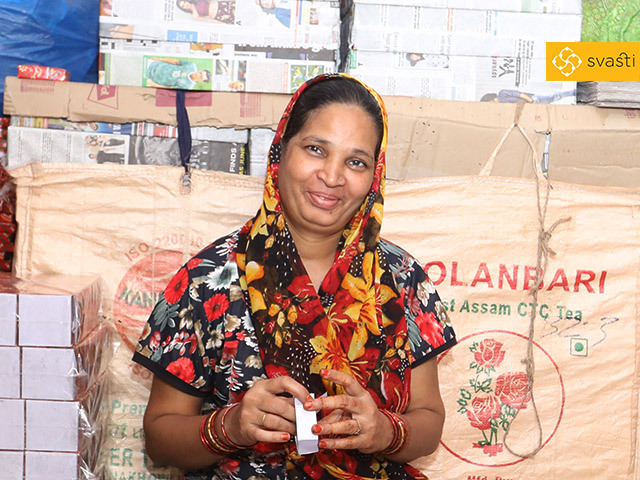 Maherunnisa and her husband are both involved in the manufacture of packaging boxes for local jewellery sellers. 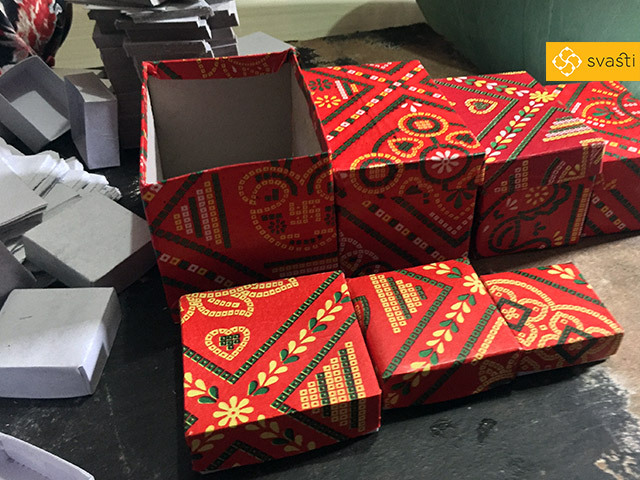 Maherunnisa was in need of finance to buy raw materials for their box making unit. But interest rates demanded by other lenders was higher than what they could afford. Then Maherunnisa heard of Svasti's Joint Liability Group Microfinance Loans. 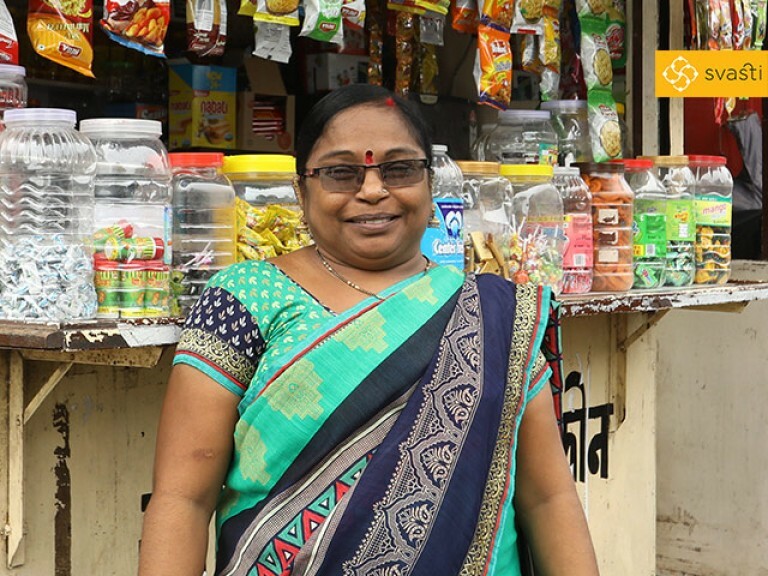 So, along with four other women entrepreneurs like herself, Maherunnisa took her first microfinance loan of Rs 20,000 from Svasti. This helped her purchase raw materials like cardboard, paper, glue, and a cutting machine. After repaying the loan of Rs 20,000, she took two and repaid two more loans of Rs 25,000 and Rs 40,000, to purchase raw materials in bulk. This not only helped her increase production, it helped increase her profit margins! In the future Maherunnisa plans to expand her business, to different locations in Chembur.